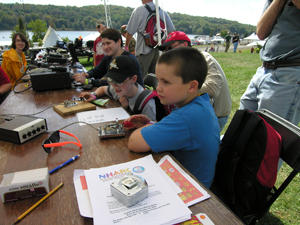 Youngs Scouts trying out morse code. 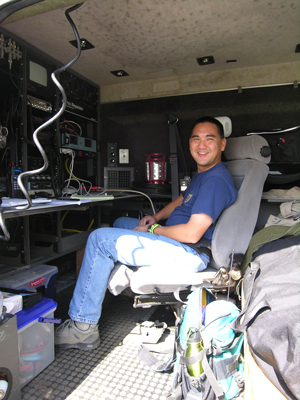 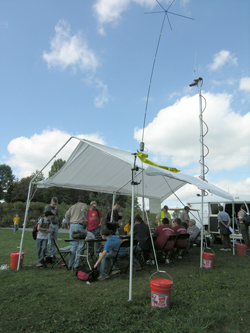 Beautiful day for amateur radio. 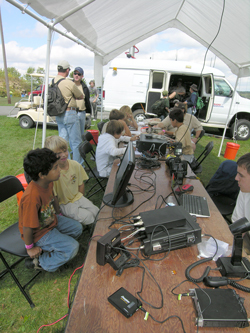 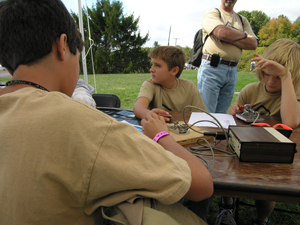 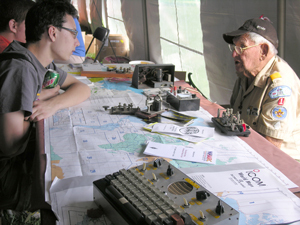 Chuck (W3LUS) teaching morse code to visiting Scouts.